The staff and how extremely helpful they were. Thank you all! The location and availability was great for my needs. Room was very comfortable with everything I needed. Bed was new and great. Quiet. Your surroundings outside are beautiful! Theres not a morning where you won’t run into an Elk or a family of Deer. Everything was a little worn but was best stay out of four in Craig. For me. 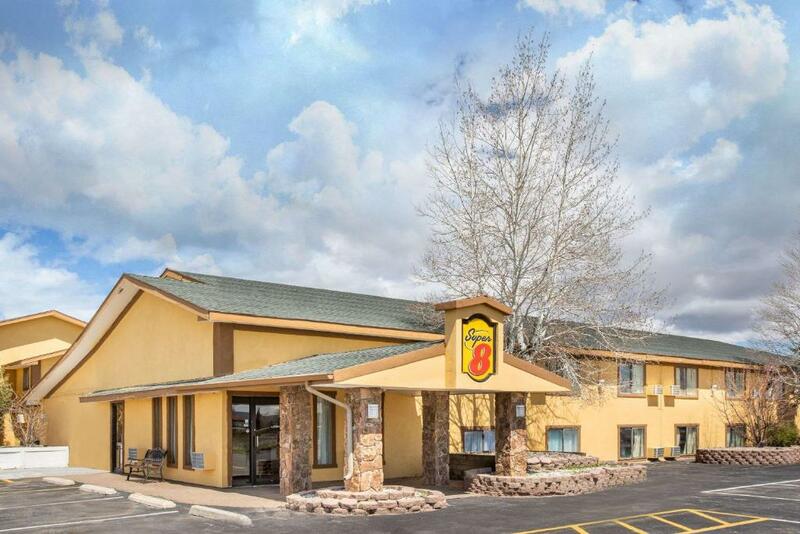 Would definitely stay at Super 8 next trip. Bed was nice shower great although knob on sink and shower were backwards and took me a minute to figure it out, actually took cold shower first night but it had been hot out and cold shower was great. you see I didn't tell absolute truth it took me till second day to figure it out. 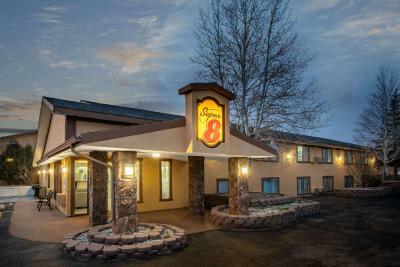 Super 8 by Wyndham Craig This rating is a reflection of how the property compares to the industry standard when it comes to price, facilities and services available. It's based on a self-evaluation by the property. Use this rating to help choose your stay! Just off Highway 40, this Craig, Colorado hotel features simply-furnished rooms with free Wi-Fi. A continental breakfast is served daily. 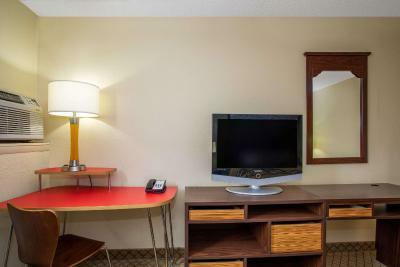 A cable TV is offered in each room at the Craig Super 8. 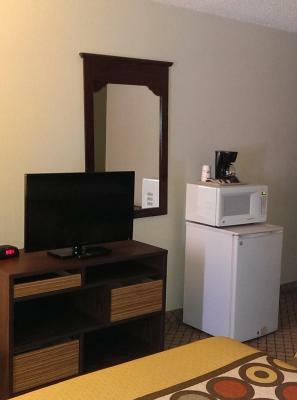 A coffee maker is included for convenience. 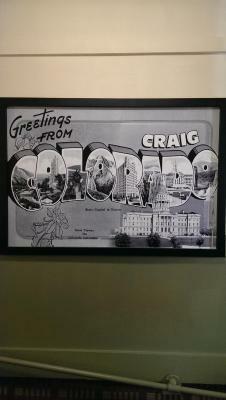 A 24-hour reception welcomes guests to Super 8 Craig. BBQ grills are available for guest use on the outdoor terrace. The Museum of Northwest Colorado is just 2.1 miles from the hotel. Yampa Valley Golf Course is a 7-minute drive away. 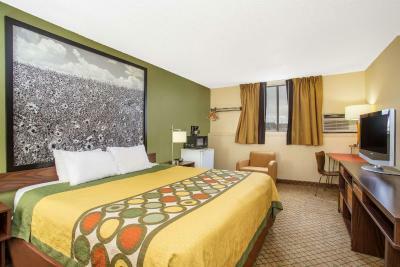 When would you like to stay at Super 8 by Wyndham Craig? 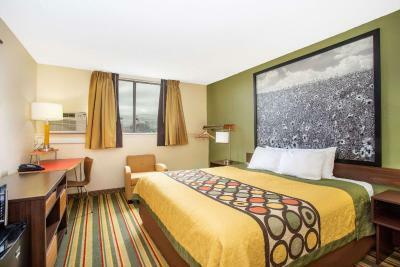 This quadruple room features air conditioning, cable TV and seating area. House Rules Super 8 by Wyndham Craig takes special requests – add in the next step! Super 8 by Wyndham Craig accepts these cards and reserves the right to temporarily hold an amount prior to arrival. Please note office hours are from 07:00 until 23:00. Corporate is not customer friendly nor satisfying. The person at front desk immediately on our arrival told us all about the manager quitting and handy man being fired because he wasn’t fixing things. The hotel was very dirty, smelled, the bed in the room was broken and looked to be propped up with a Bible, phone book, and a roll of TP. my husband and I actually rearranged the bed and fixed broken boards under the bed so that we could sleep. It still had a major dip in it. The bathroom was dirty, visible dirt in corners, hair on the walls of shower and curtain. The vent leaked over the toilet. We never got room service and were only given one set of towels. We asked for more and were told they were short staffed and didn’t know if they had any in laundry. My husband got some from another room that was found open. The hotel was a major disappointment. We could find it easily from the main road. I did not like the air unit on the wall, it was either too hot or too cold. I didn’t like staying on the bottom floor. The property was in poor shape, rooms were not clean. There needs to be a lot of work done to fix up this place. Breakfast didn't begin until 7 am. Needed to be out of the room by 6:30 am. If you like tight security on the entry doors you may not feel comfortable. external doors open either end without key. Staff was sparse, but very knowledgeable. In big need of updates. Carpet is old, ice machine leaks, small breakfast area. Alarm in room 122 that was never shut off in 3 days. Quite honestly the place is old and dumpy, unclean, shabby, in need of a complete overhaul inside and out. We stayed there because of the rate which was $66. The staff was not upbeat at all. We won't stay there again. It needs WORK!!! The king size bed was comfortable. No cold water either day. Shower scalded our feet. Room heater was not very warm. Room needed some repairs in bathroom. Carpets in hallways are worn and muddy. Bathroom falling apart. Ant infestation in and on floor. Toilet that leaks a lot when flushed. Needs huge remodel! !